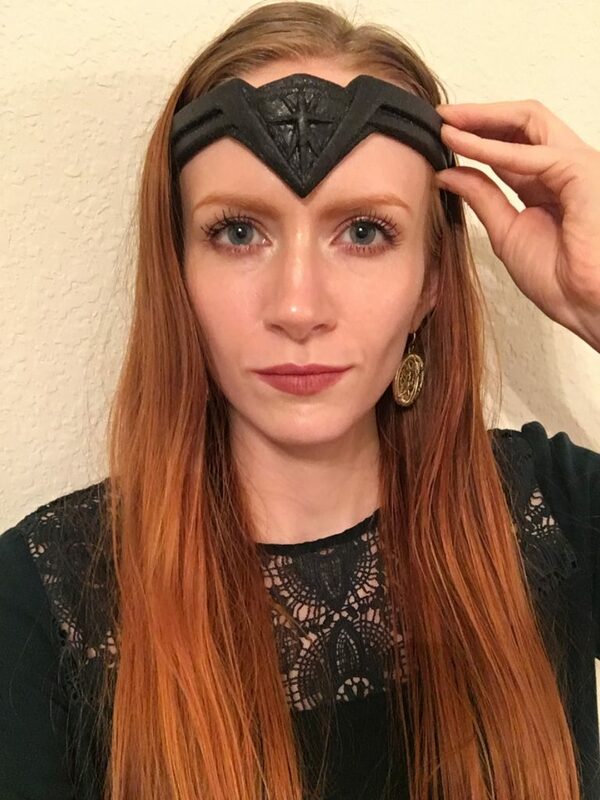 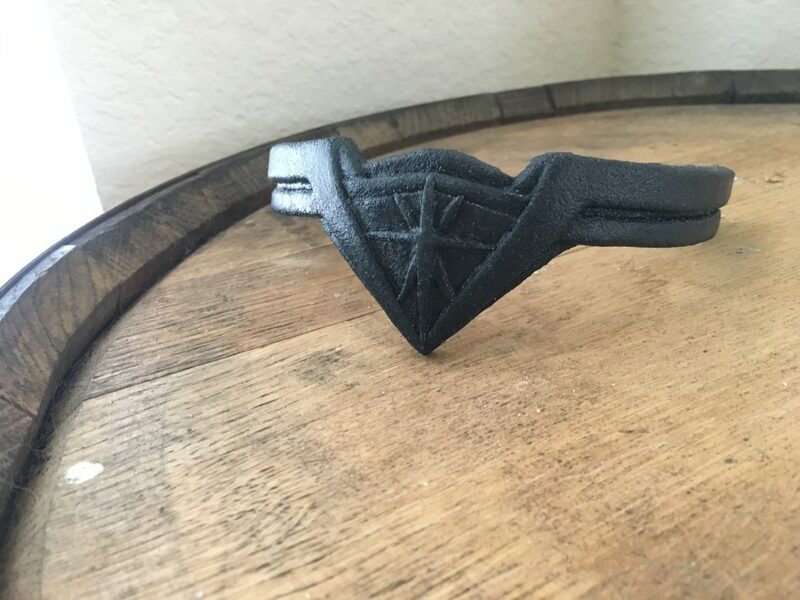 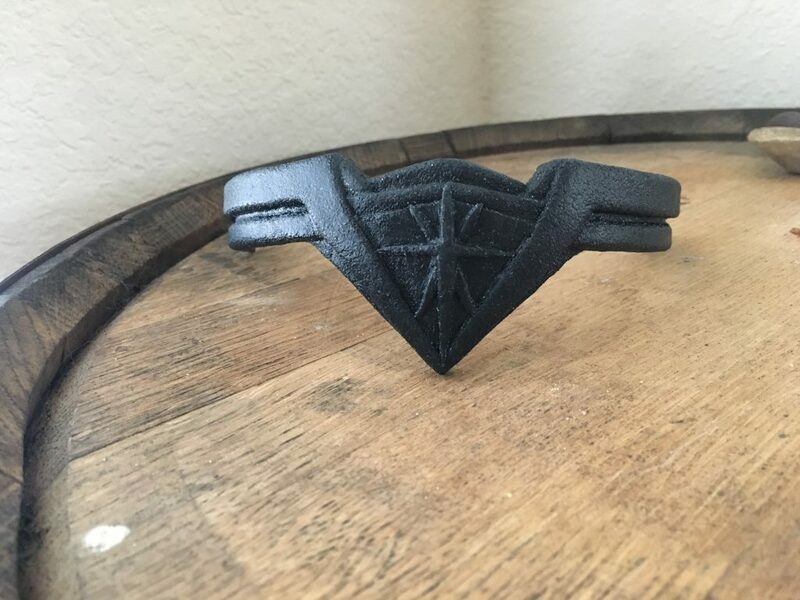 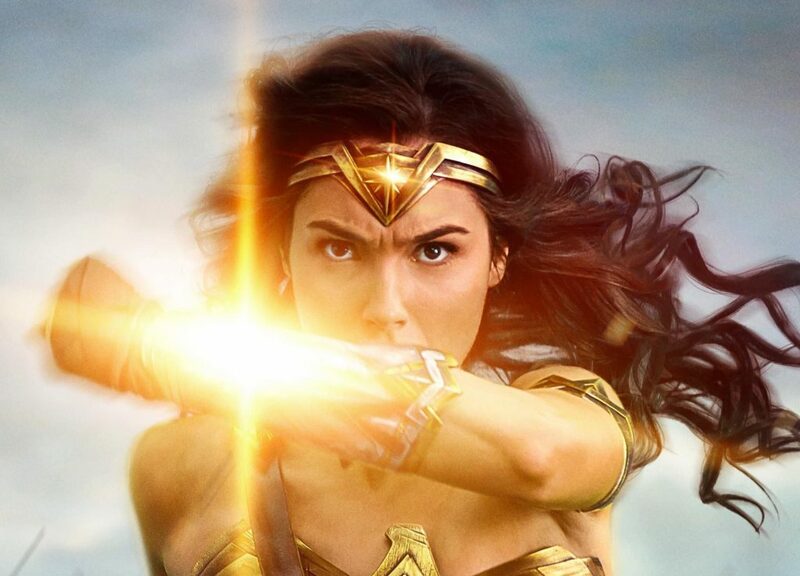 We asked Methyl Ethyl Cosplay to create a tutorial for us using Black Worbla, and she shared this great writeup for making your own Wonder Woman tiara from the new movie designs. 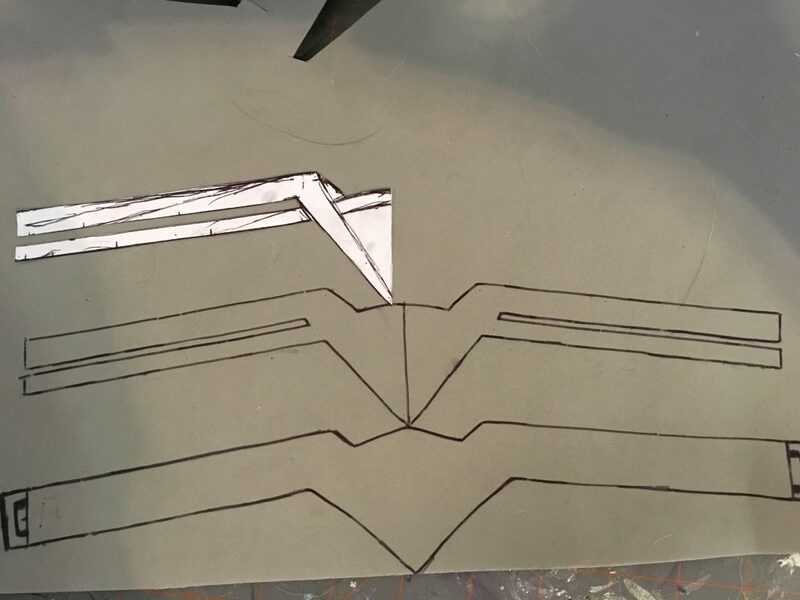 sketched out the details onto one side of the base pattern to match my reference. 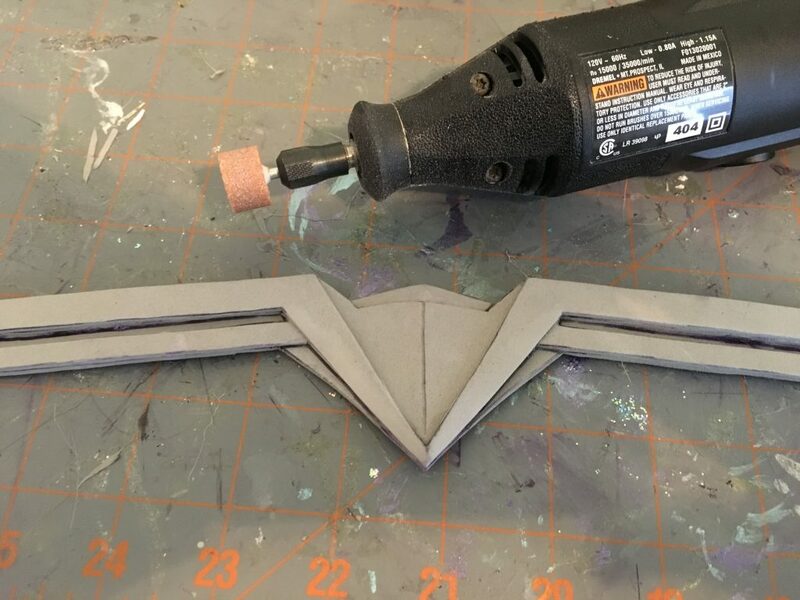 I transferred the pattern to 2mm craft foam. 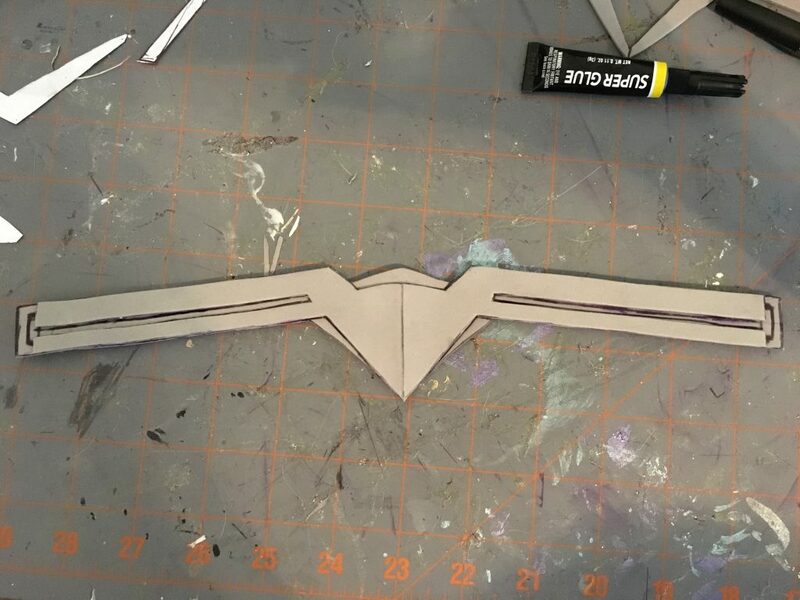 I incorporated slits on either end of the tiara for attaching straps to secure the tiara in place for wear. 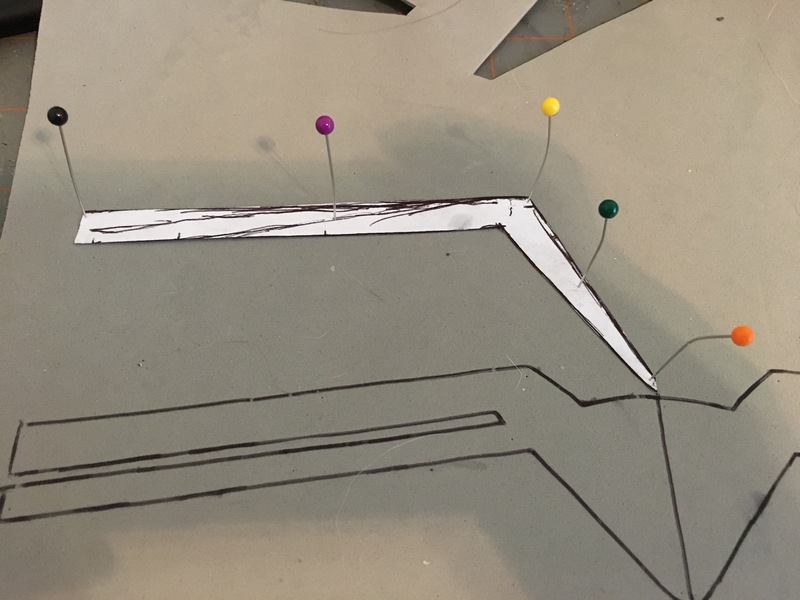 I tend to make my patterns by way of dissection. 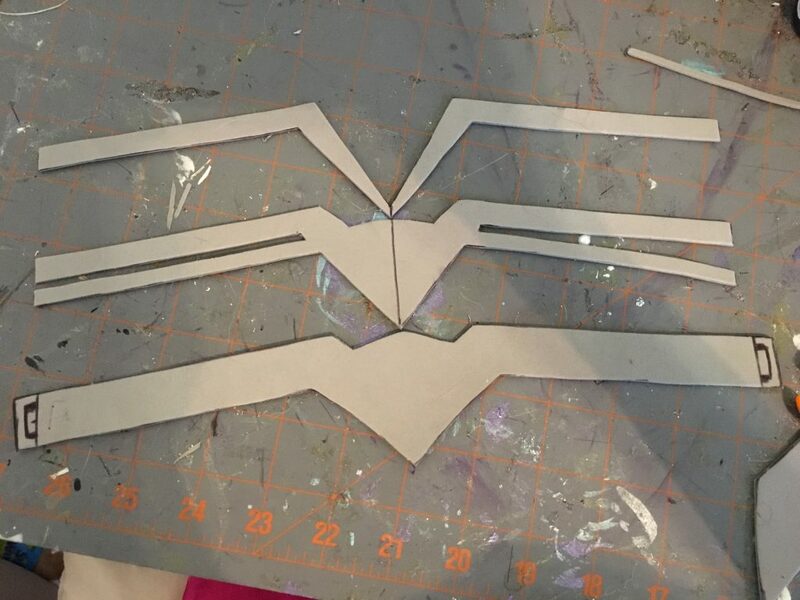 For this, I cut the base pattern in half, and cut out pieces from it to make my first detail layer. 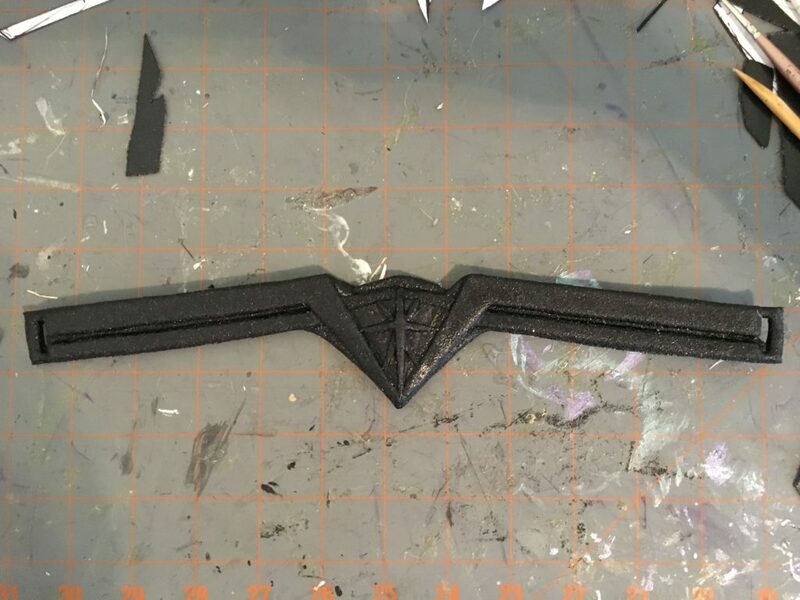 Once the first layer was cut out, I transferred the detail pattern to foam. 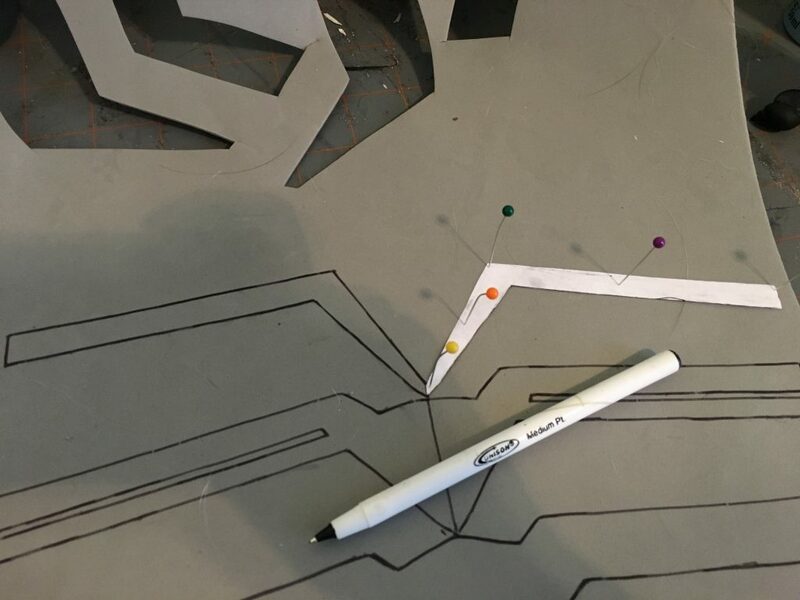 Tip: I like to use pins to secure the pattern in place when transferring them to foam. 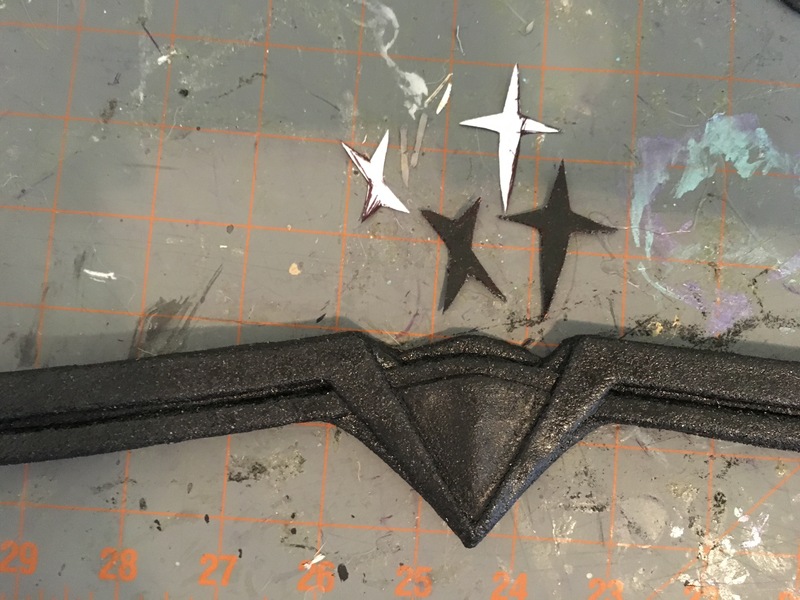 Once my first detail layer was transferred, I then cut the pattern once more to reveal my second detail layer. 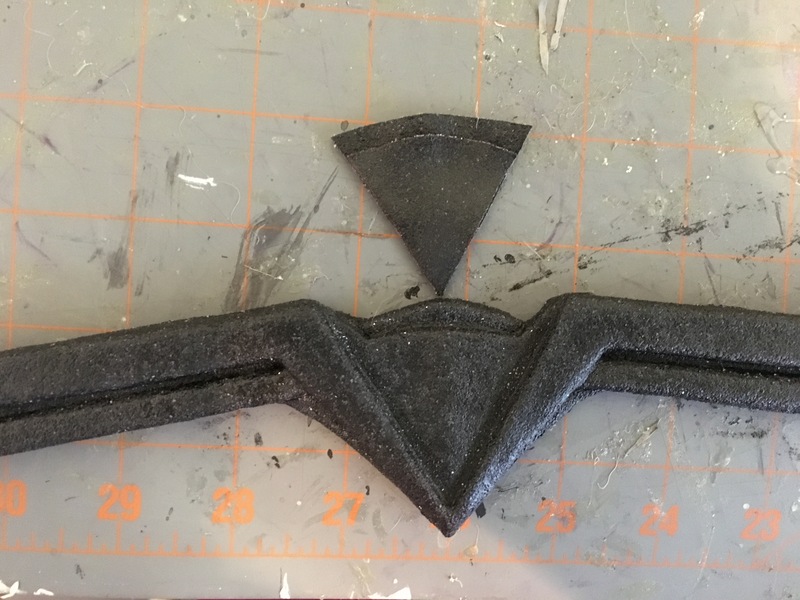 I transferred this to the foam. 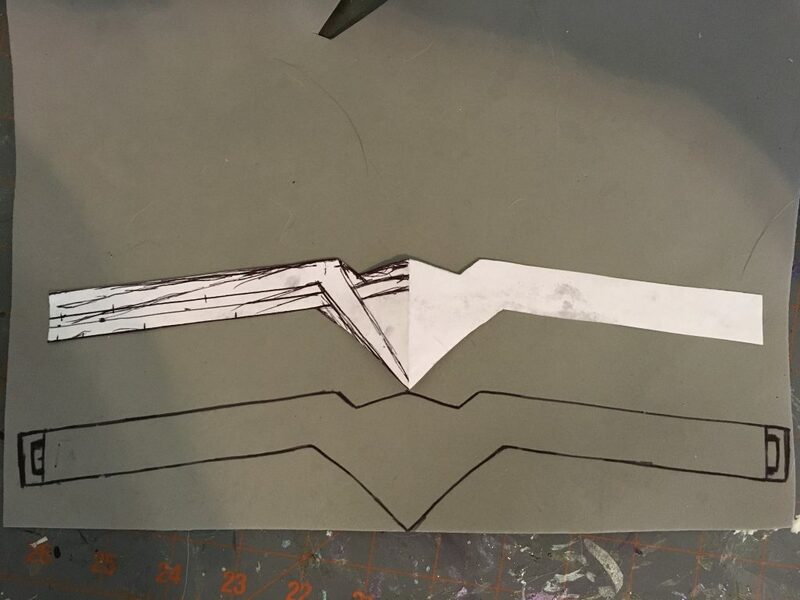 I cut all three layers out using an Exacto pen. 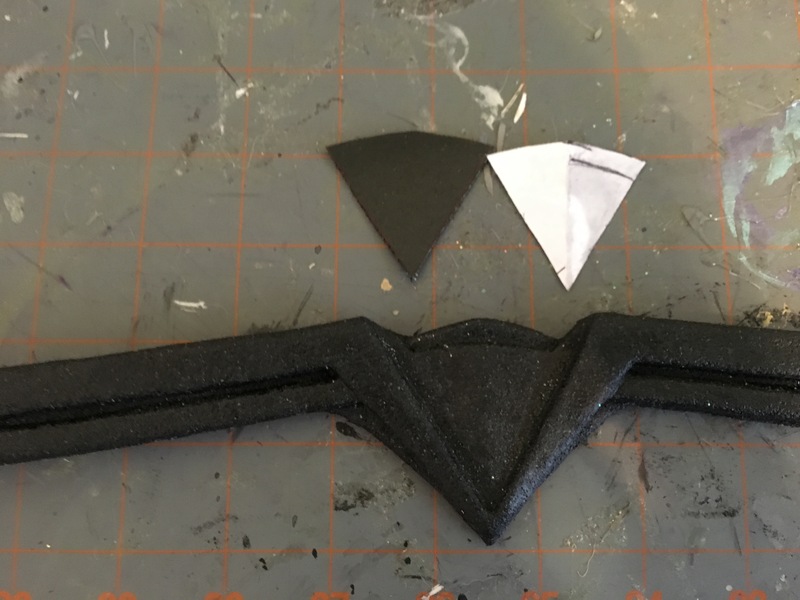 I wanted the tiara to protrude outward a tad at the centerline so I heated a small piece of Worbla, rolled it into a thin cylinder, and superglued it to the centerline of the base foam piece. 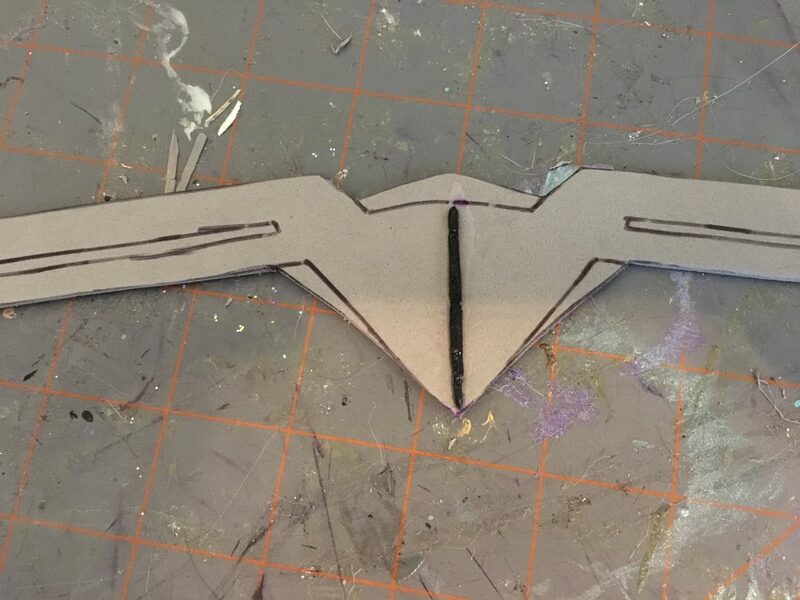 I then adhered the second detail layer with super glue. 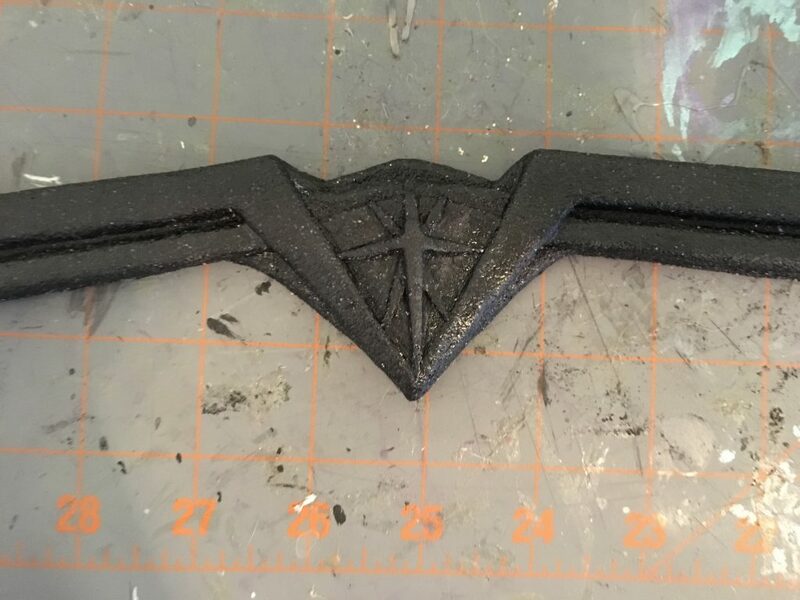 I wanted the edges of the central “V” shape to be thin, so I tapered them some with a Dremel tool. 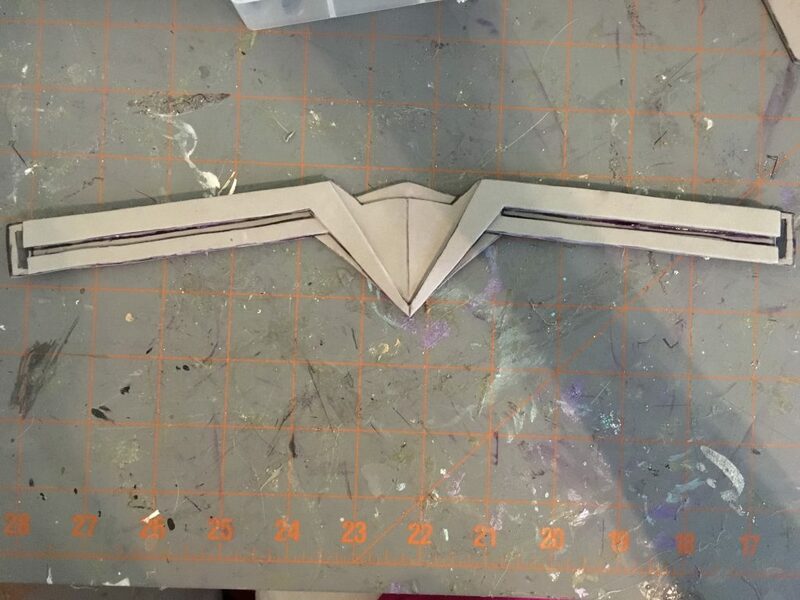 I then adhered the final detail layer with super glue. 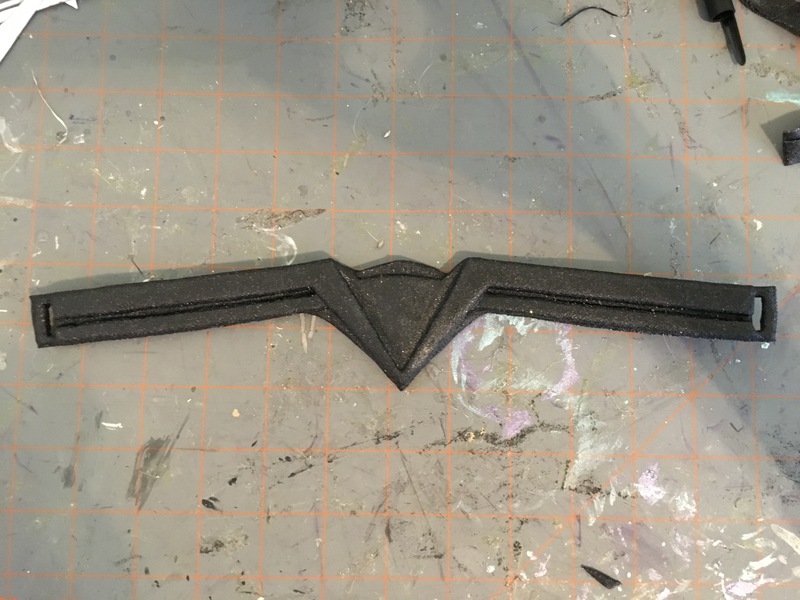 I tapered the “V” edges once more with my Dremel tool. 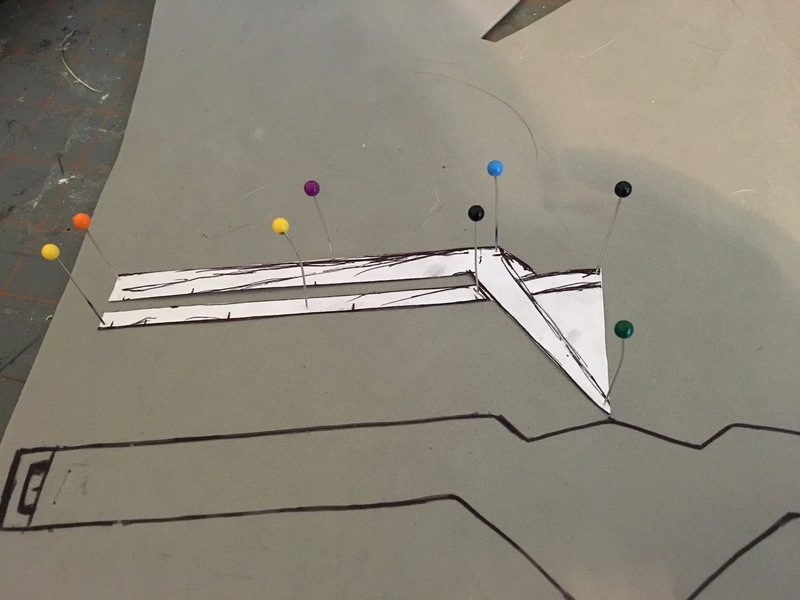 Now on to the fun part! 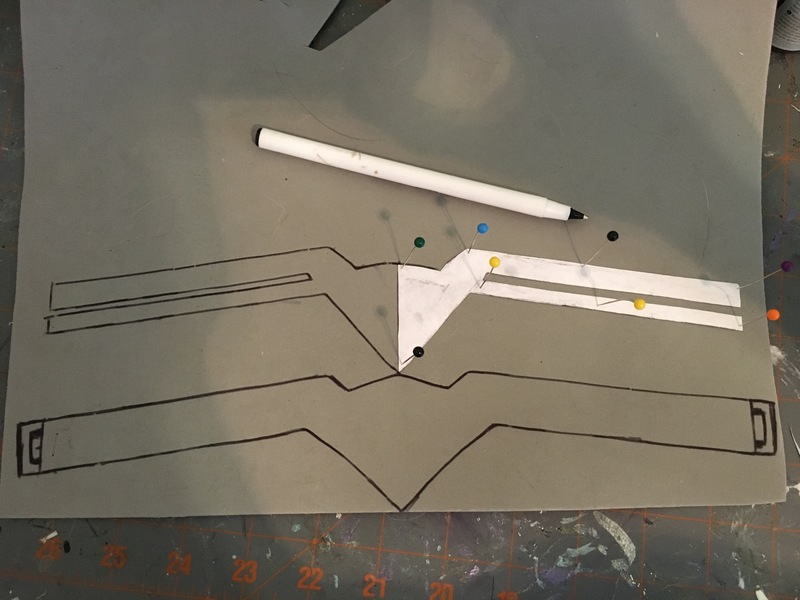 When working with Worbla, I prefer to use the sandwich method. 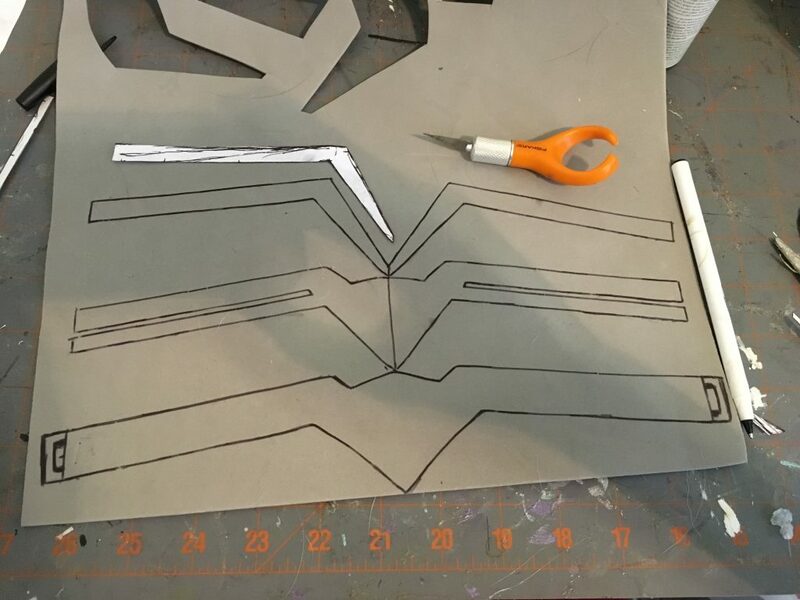 I traced my tiara outline with about an inch to spare on all sides onto Worbla, twice. 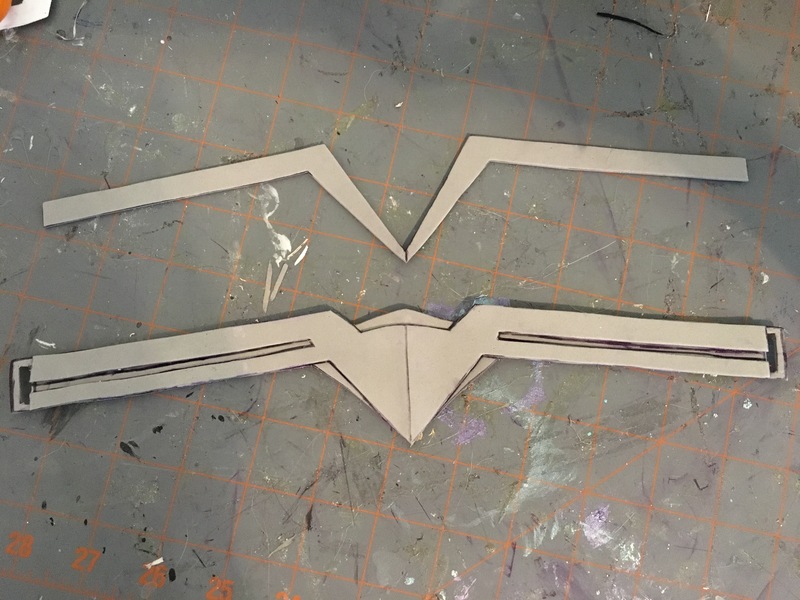 I then cut these two pieces out. 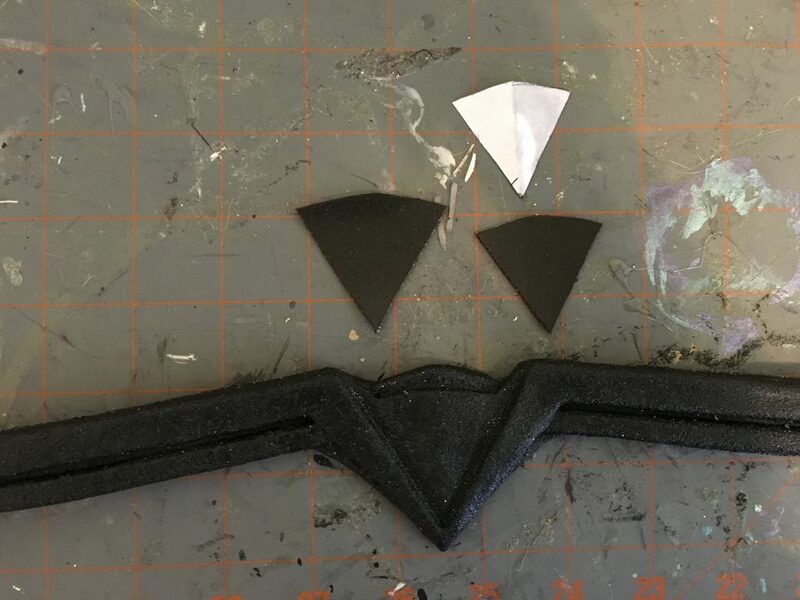 I heated the Worbla pieces with a heat gun and sandwiched my foam piece between the two Worbla layers with the glue sides (shiny side) of the Worbla each facing the middle (interfacing with the foam). 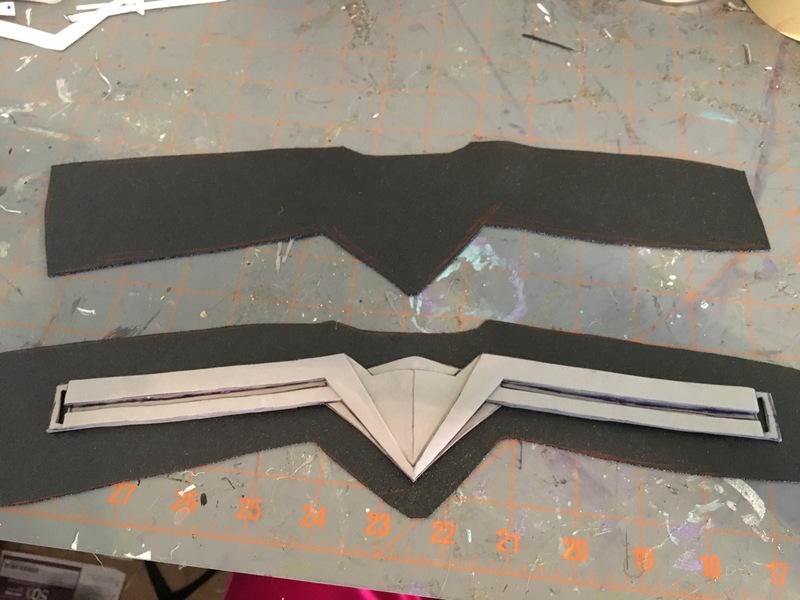 Using my heat gun and sculpting tools, I accentuated all of the foam details beneath and removed the excess Worbla around the edges of the tiara with scissors. 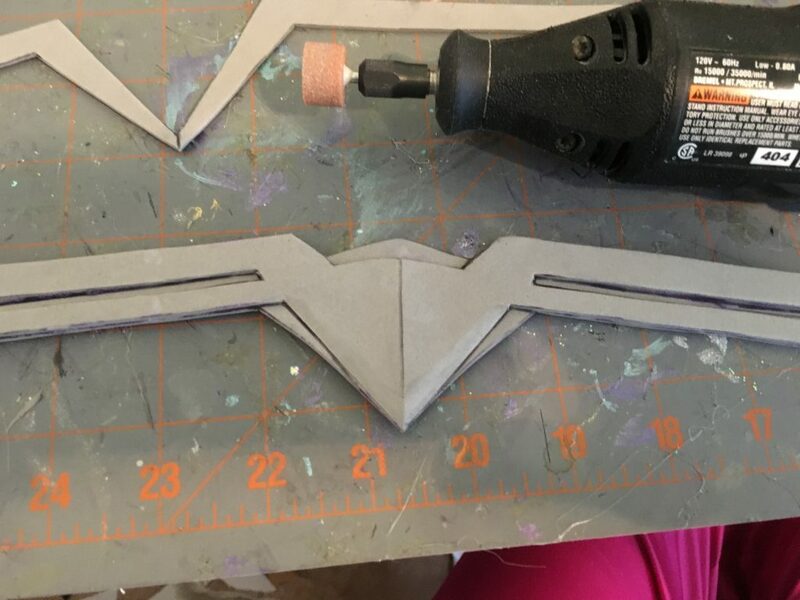 I next made additional details with Worbla and added them to the tiara, adhering and and shaping them with heat and sculpting tools. 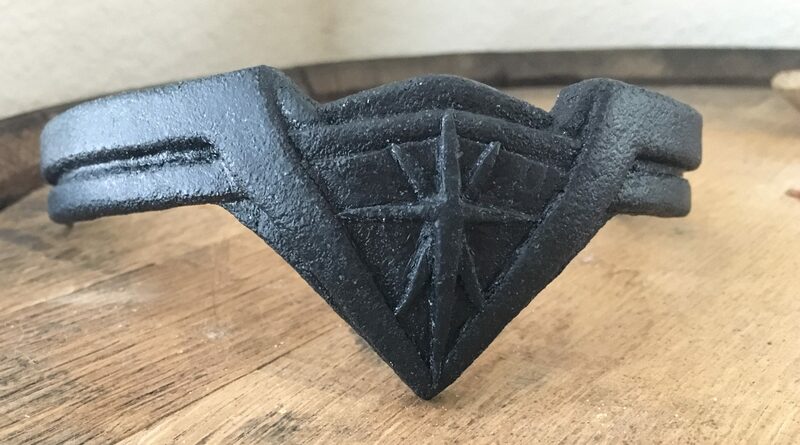 Once the detailing was officially complete, I heated the piece once more and shaped it to my forehead.